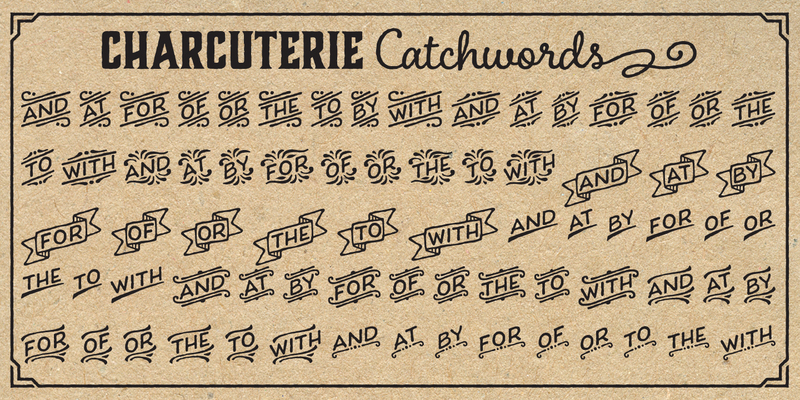 Catchwords helped typesetters and letterers save valuable space back in the day. Now they just look totally charming and retro. Choose words from from 9 graphical styles that complement many of Charcuterie’s faces. A font family published by Laura on Wednesday, July 27th, 2016 that has 1,572 views so far.